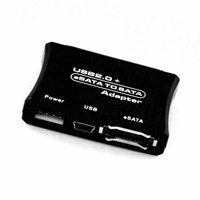 This handy USB to SATA (Serial-ATA) adapter with a Power Supply allows you to recover, transfer and back-up data to/from any SATA Hard Disk Drive via a USB Port (or eSATA and an eSATA cable is supplied). 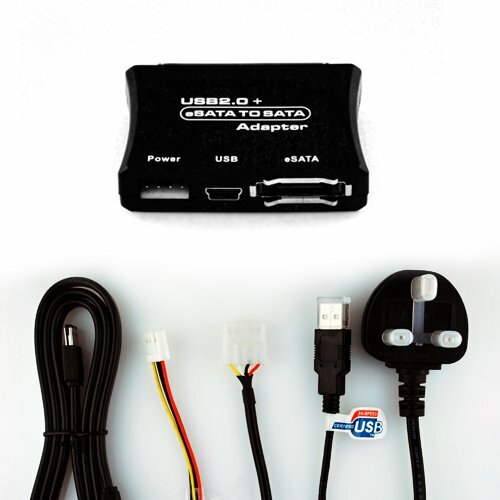 The adapter and all cables are supplied (see image gallery for full details). The USB to SATA adapter is easy to use and manufactured from high quality components and its USB 2.0 ready. 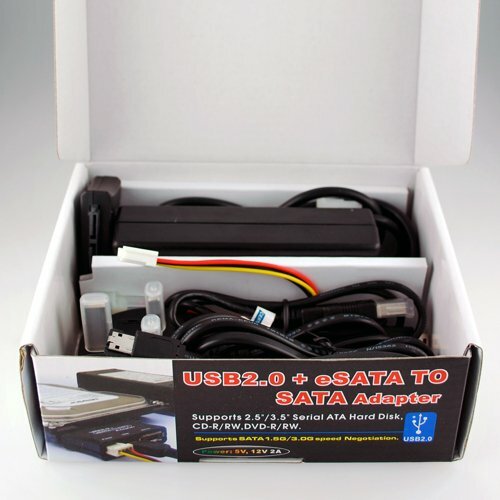 Supports 2.5"/3.5" Serial ATA Hard Disk, CD-R/RW, DVD-R/RW. 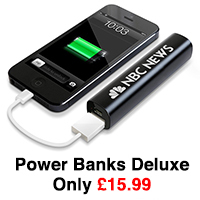 Price includes VAT. Not sure which Caddy you need??? Not sure how to format a HDD??? 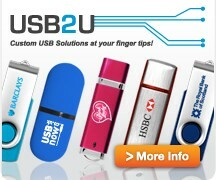 Not sure how to make a backup?? ?